Rob Cross started to play darts as a child and 2015 for the first time took part in an international tournament - the Winmau world Masters. In 2016 he started his PDC career with taking part as an amateur qualifier in the UK Open. He lost under the last 32 against Michael van Gerwen who threw a nine-darter in the match. After the tournament he joined the PDC Challenge Tour, won three of the events and got as first of the Challenge Tour ranking at the end of the season a Tour Card. 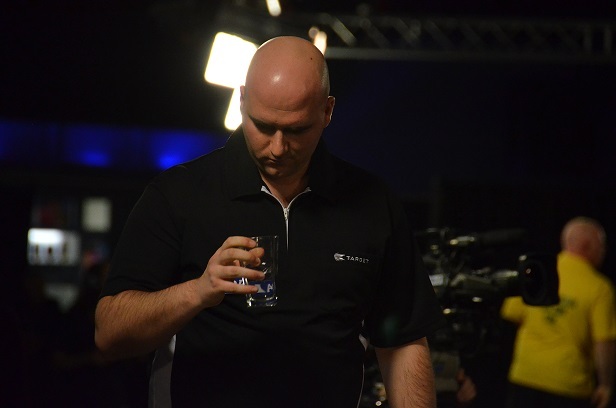 In 2017 Cross again took part in the UK Open and reached the fifth round. He won four Players Championships, reached twice the finals of European Tour Events and played himself into the final of the European Championship where he once again lost to Michael van Gerwen. Cross qualified as well for the World Matchplay, the World Grand Prix, the Grand Slam of Darts and the Players Championship Finals and as 20. of the Order of Merit for the PDC World Championship 2018 where he'll gave his debut against the winner of the Preliminary Round match between Segio Asada and Gordon Mathers and in the end was the surprise winner of the tournament. Beside Cross won in 2017 four Players Championships.